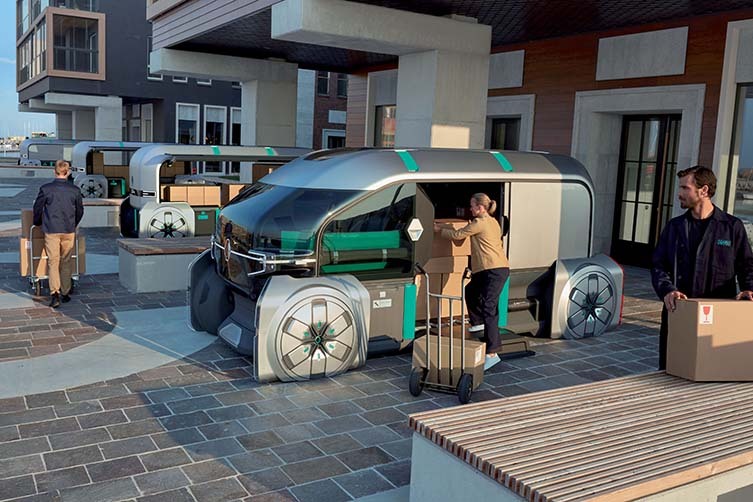 Hannover, Germany — 19 September 19, 2018: Today at the Hannover Motor Show, Groupe Renault introduced the world premiere of Renault EZ-PRO, an autonomous, electric, connected and shared robo-pod concept, for the future of agile, last-mile delivery solutions for every type of professional. Last-mile delivery services are one of the biggest opportunities for disruption in professional delivery services as E-commerce continues to explode, consumers want immediate delivery, retailers need to manage delivery costs, and cities continue to look for new ways of managing intensified traffic and congestion. EZ-PRO – a seamless experience for end users (recipients): EZ-PRO has been designed to offer an optimal delivery solution for professionals as well as for consumers. Recipients will be able to choose a convenient delivery time and location of their choice. 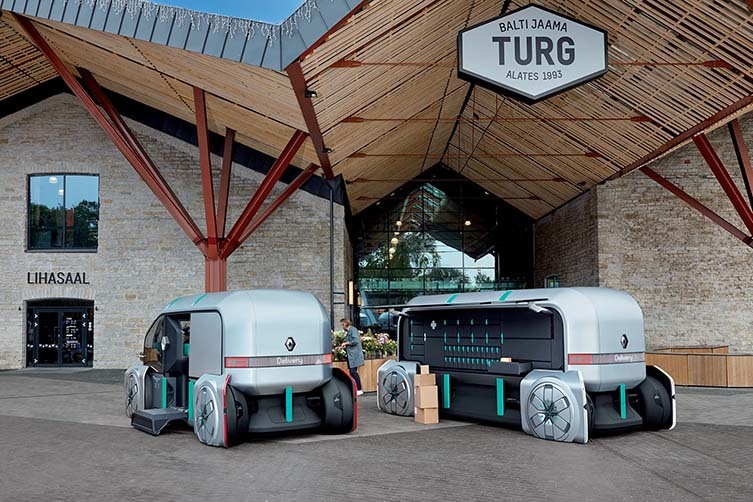 The end user will also be able to choose between receiving his parcel by the concierge or accessing self-service lockers in the driverless robo-pods. These lockers, accessible 24/7, can be opened by the recipient via a mobile phone application. 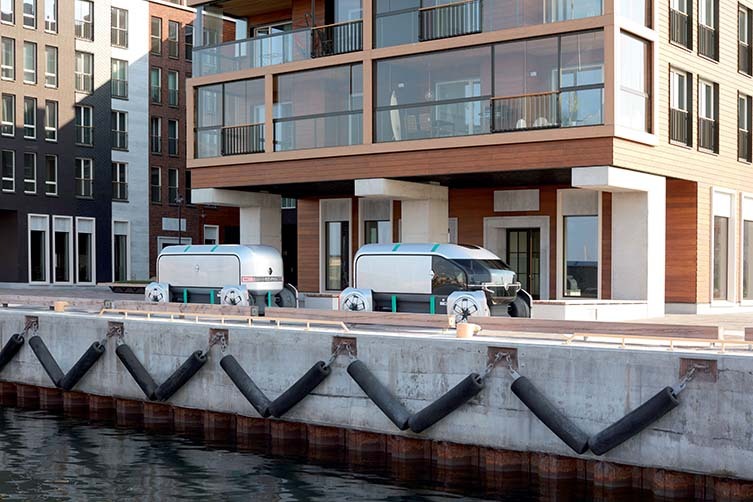 An overall positive impact for urban life: EZ-PRO styling has been designed to minimize its visual impact and enhance the pods’ integration into the urban landscape. 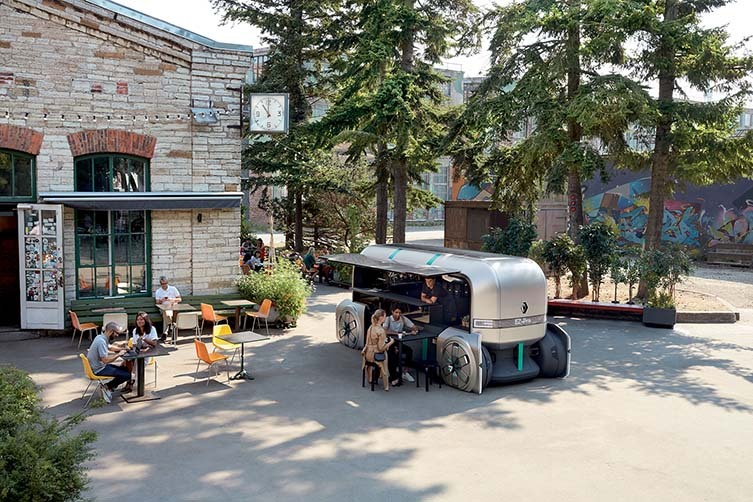 The satin finish of the bodywork, the wheel fairings, and the glossy appearance of the opening panels and reflective properties help to make the pods unobtrusive in the cityscape. 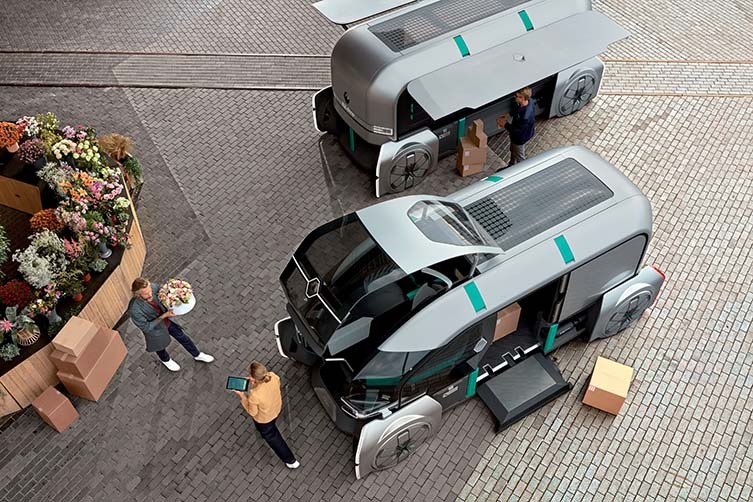 Last mile delivery makes up 30% of traffic in cities — a burden which EZ-PRO can help relieve thanks to its shared shipping delivery solution, flexibility and autonomous driving. These will contribute to fewer vehicles on the road during rush hour, and fewer traffic jams caused by poor driving habits or badly parked delivery vehicles. 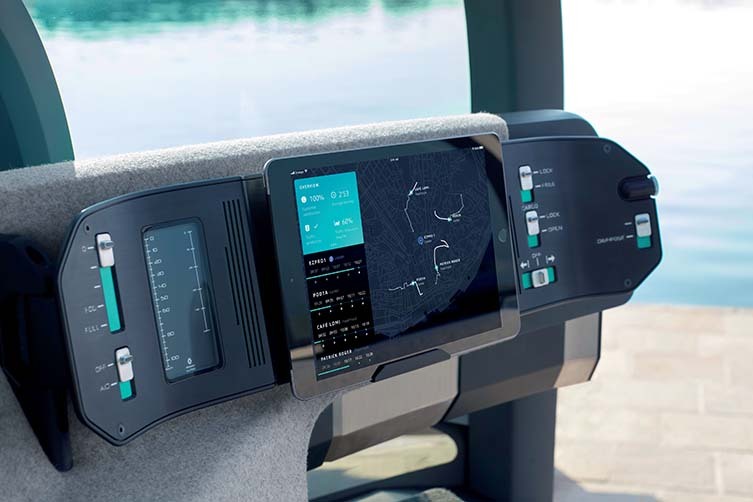 Smooth traffic flow will be further enhanced by connecting the robo-vehicle to city infrastructures like traffic lights and traffic control center.